Conducting online polls during Live presentations is easier than you might think. Previously, we brought you a list of the Best Polling Software And Solutions For Live Presentations, which covered many useful polling tools that can be used for gathering audience feedback during a presentation, seminar, convention, etc. This time we will provide you with an overview of another fine tool which can be used for gathering feedback from your audience using PowerPoint. 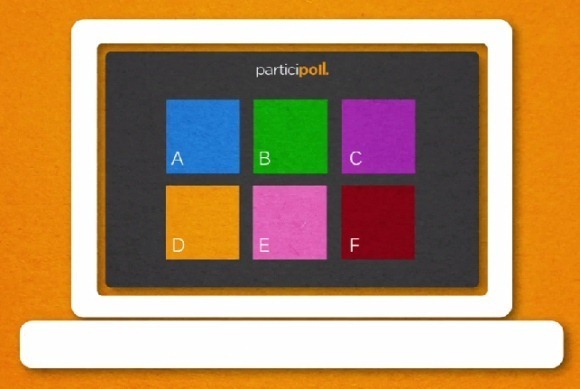 Participoll is a PowerPoint add-in which can quite easily be used as a PowerPoint audience response system for conducting online polls. After a poll is initiated, the audience get the option to provide feedback via a poll link given by the presenter. This makes it possible to engage your audience via their mobile devices to conduct polls and see audience comments. To get started, go to Participoll and sign up for a free account. When signing up it is advised to use a username best matched for your presentations, as the polling link you will give to your audience will include your username. 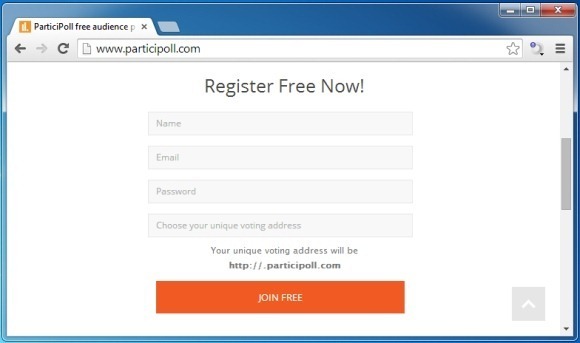 Once the sign up process is complete, download the Participoll add-in. 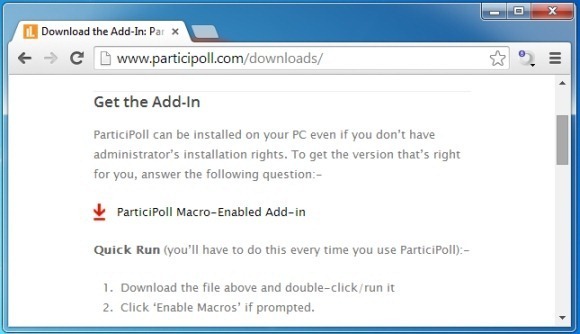 If you don’t have sufficient user privileges to install add-ins, you can download the Macro Enabled version of Participoll. Using this version you can use Participoll without installing it on a computer. To start a poll, click the Insert poll option from the Participoll tab (as shown below). 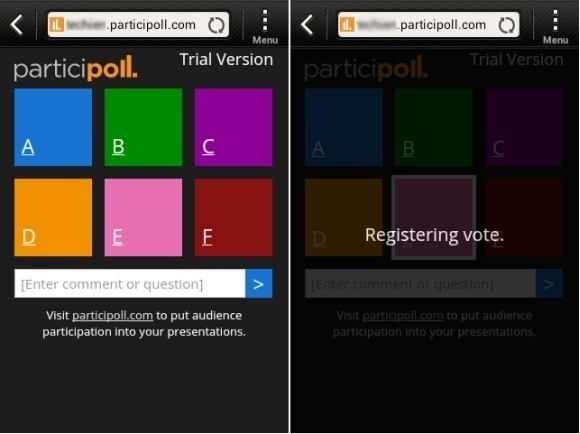 After inserting a poll, click Start Polling and login using your Participoll account. As mentioned earlier, you can share your polling URL with your audience to gather feedback. This URL will be something like “example. Participoll.com”. Make sure you share your URL after starting a Poll, and inform your audience to begin casting their votes. 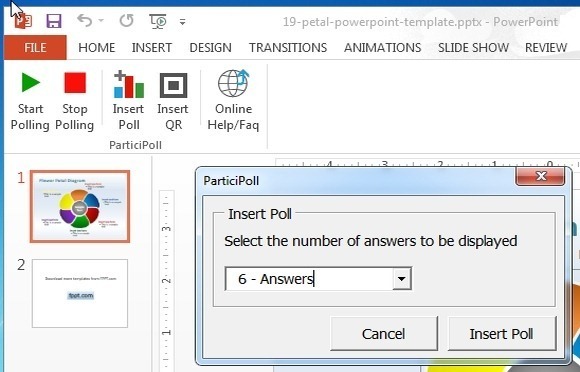 To stop a poll anytime, go to the PowerPoint Participoll tab and click Stop Polling. To find out more about Participoll and its features, see the introductory video given below. While Participoll is a paid service, you can try it out for free on a trial basis before upgrading to the paid version.